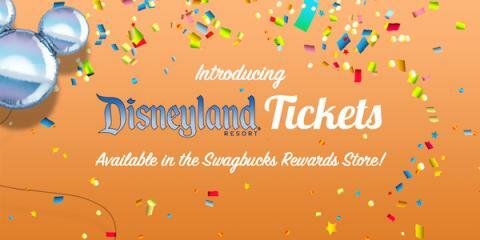 Being Frugal and Making It Work: Get FREE Disneyland Tickets on Swagbucks.com! If you haven't used Swagbucks before, here's how it works: You get points (called SB) for things like online shopping, discovering new products and services, answering surveys, watching videos, and even searching the web. Then you redeem those points for gift cards from places like Amazon, PayPal, Walmart, Target, Starbucks, and now you can redeem them for FREE tickets to Disneyland! Neither I or my kids have ever gone and Disney has been on my to-do list for years.